Tim (who’s a professional photographer as well as an engineer/tech dude) started Photographers Tech Support late in 2014 after spending a lot of his spare time helping photographers from all over the world with technical issues on various forums and Facebook groups. Many photographers are too busy to look problems or don’t have the necessary technical skills, we’re here to help! Tim has an honors degree in computer systems engineering and has 15 years experience working in the technology industry as a software developer and solution architect. 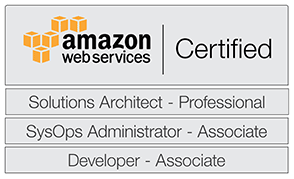 Tim holds many certifications, including Amazon Web Services Certified Solution Architect, Sysop Administrator, and Developer (associate level), TOGAF certified enterprise architect, certified Java enterprise architect, and certified Java programmer. Tim works full time in a senior technical role for a New Zealand consulting firm, and does PTS work outside hours. This timing works well to support people in Australia and the USA. You can see Tim’s professional LinkedIn profile here. Tim is active on the Server Fault website, that provides community help with managing ICT system for businesses. We operate out of Wellington New Zealand, you if you want to know what time it is for us check it out here. Our response time may be up to one business day, but we aim to respond more quickly than that where possible. If your problem needs urgent attention we’re probably not the right people to help, but we’ll do our best for existing customers. To read about some work we’ve done for customers check out the “customer success stories” section of our blog and our testimonials. You can follow us on Facebook here.